No one knows exactly when nem chua (fermented ground pork) first arrived in Thu Duc, a suburban district of Ho Chi Minh City, formerly Saigon. But one of its earliest fans was poet and writer Tan Da (1889-1939), who had been called down from the north to work for a French-language newspaper in Saigon. 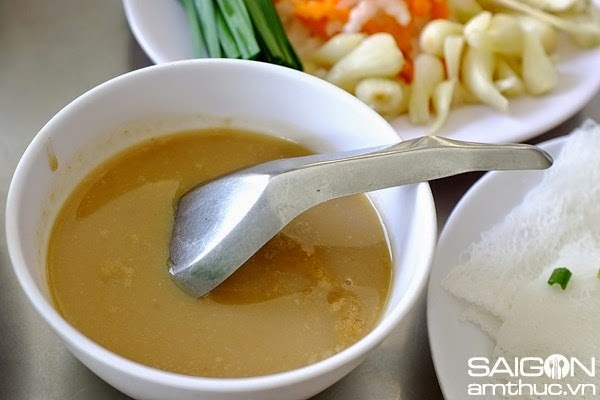 He soon became bewitched by Thu Duc's ground, fermented pork, which he ate with Go Den rice wine, a famed spirit made in Saigon's neighbor province of Long An. 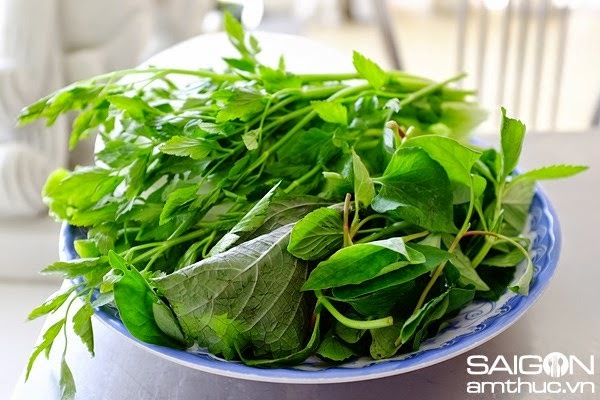 Prior to 1975, those eager for plate of excellent nem chua had to cross the Binh Loi Bridge and take National Highway 1 to Thu Duc. At that time, hundreds of households mixed pig skin in sugar, salt, honey, and garlic and wrapped the mixture in fresh banana leaves to ferment. 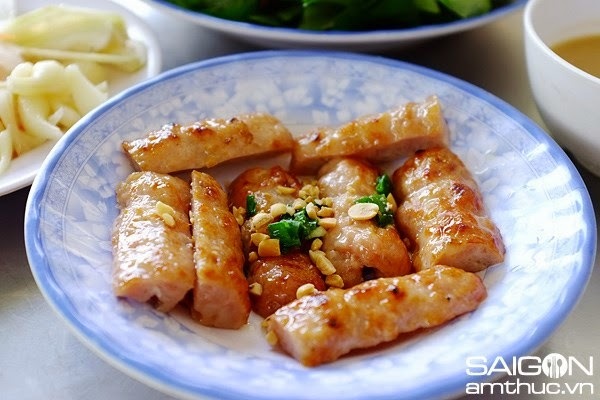 Their efforts made nem chua Thu Duc famous throughout the south. Only a few of those celebrated nem chua establishments have survived -- the most popular being Thien Huong Vien Restaurant on Kha Van Can Street. The 40-year-old restaurant serves both original nem chua and grilled nem chua. 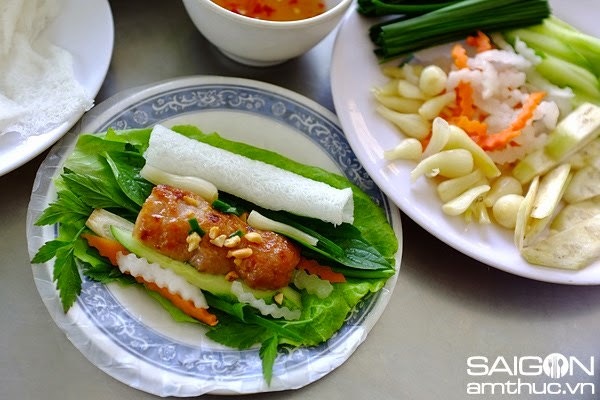 The grilled fermented pork is traditionally served with the lace-like banh hoi, allowing customers to prepare delicious rolls with slices of carrot, pickled leek, star fruit, green banana and many kinds of vegetables and herbs. 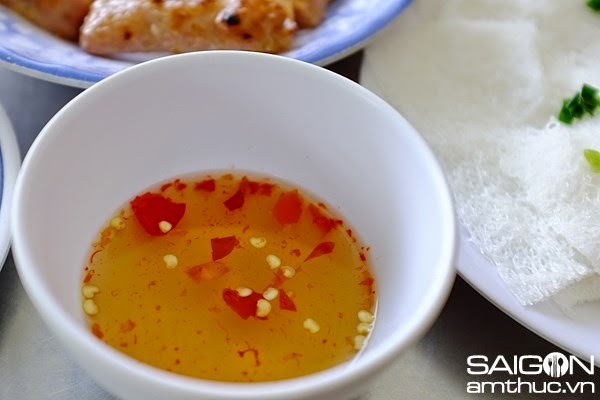 The resulting rolls are dipped in sweet and sour fish sauce or soy paste, creating an unforgettable snack. 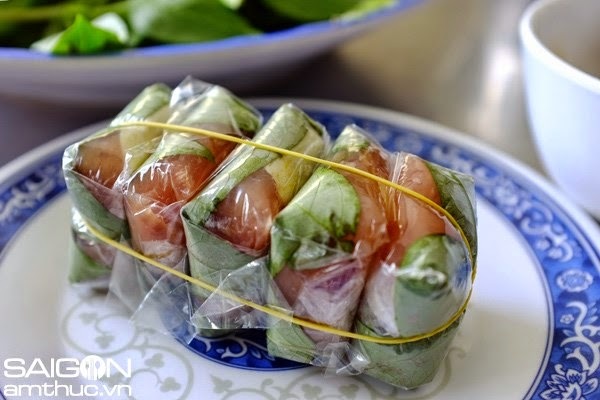 Nem chua Thu Duc isn't as sweet as the nem chua that's ubiquitous throughout the Mekong Delta. It's known for its pleasant sourness and pinkish hue.